Stroop Test: Your perceptions affect subsequent behavior, even if you are aware of preconceptions. Perceptions are automatic, and it’s hard to block their effect. 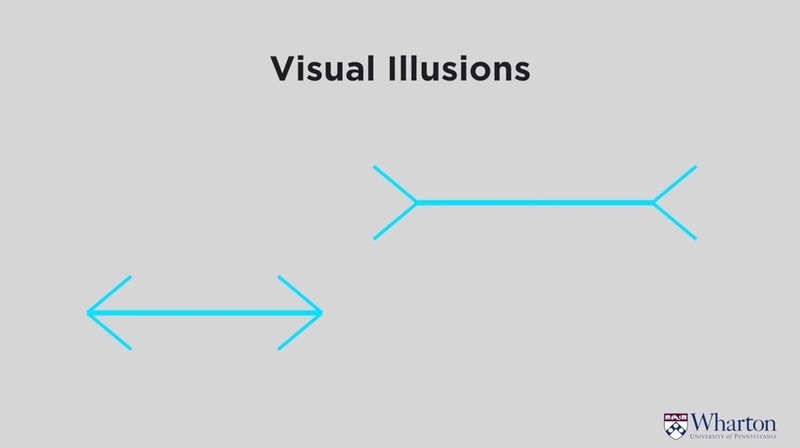 Optical Illusions: You believe what you perceive to be true, even if it can be proven otherwise. Which of the lines below is longer? “Hidden” Pictures: Prior expectations and surroundings influence perception. For example, do you see a “B” or a “13” in the center of the image below? 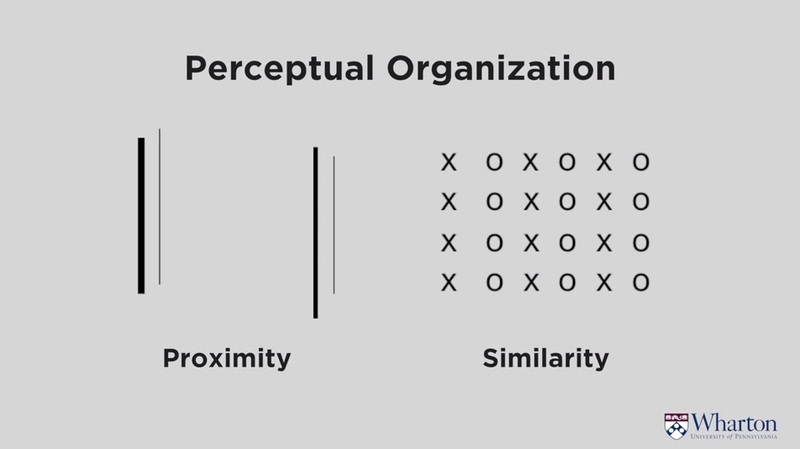 Perceptual Organization: Consumers often assume things that are close in proximity, or similar to each other, belong together. 1. Place the four lines in the image below in two pairs. Which did you group together? 2. How do you view the cluster of Xs and Os to the right? Did you see the image as columns or rows? Perceptual inferences determine behavior and how consumers treat a brand. Once you put a brand on a product, people conceive the product to be either better or worse quality. From An Introduction to Marketing by David Bell, Peter Fader, Barbara E. Kahn. From Wharton and Coursera.